Today I’m going to share with you guys a list of parent companies that test on animals. These are large corporations who own tens and hundreds of brands. Some brands owned by these parent companies are cruelty-free; however, the majority of them are not. I find knowing who the parent companies are is the best way to figure out what I can buy in a store. If a product is owned by any of these companies, I know not to buy it. This is the easiest way, I find, to shop when I don’t know about certain brands. All I do is look at the back of a product to determine who owns the brand, and then I know if it’s a product I should put back on the shelf. There are, however, cruelty-free brands that are owned by companies who are not cruelty-free. It’s a personal choice whether you wish to support that brand. On one hand, by supporting all cruelty-free brands it’s showing that there’s a market for cruelty-free products. But on the other hand, some of your money will be going to the parent company who isn’t cruelty-free. There is no right or wrong option; it’s just a personal choice. The following parent companies are not cruelty-free. These are companies who choose to continue testing on animals, causing tremendous suffering to our furry friends, despite many other companies being cruelty-free. There’s absolutely no reason to be testing on animals for cosmetic purposes, or for any reason in my opinion. These parent companies, however, own mostly cosmetic brands (anything from makeup and shampoo to cleaning products). If I’ve left any major companies out, please let me know. I always like being informed and I will add it to the list! 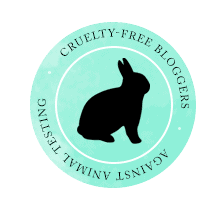 If you would like to know about any specific cruelty-free brands, please check out these links! I hope it’s true!! Also, I use Almay One Coat mascara and searched out their truth. Revlon (parent company) is cruelty free. Right now, L’Oreal is not cruelty-free. This is their statement on their website: “L’Oréal no longer tests on animals any of its products or any of its ingredients, anywhere in the world. Nor does L’Oréal delegate this task to others. The rare exception allowed is if regulatory authorities demand it for safety or regulatory purposes.” At the moment, L’Oreal is being sold in Mainland China; China requires all finished cosmetic products and their ingredients to be tested on animals. So, L’Oreal products are being tested on animals and are considered to be not cruelty-free. Right now, Revlon is also sold in China, so it is not cruelty-free either.